The Age of Transparency, the Playstation Generation, prior plausibility and the British X-Files. Plus education policy, the Queen, laser eyes and blogging a pissy response. Attempting to communicate peacefully with UFOs, it’s Skeptics with a K.
Episode 21 of our satirical comedy podcast. Look out for the name checking section where we read out the names of some recent InKredulous reviewers. Naveena Shine recently made the headlines with her 6 month-long ‘Living on Light’ experiment into living without food – an experiment she ended after just 47 days. Marsh spoke to her about Living on Light, and whether she thinks human beings really can survive without food. One of the UK’s most outspoken and well-qualified opponents of alternative medicine and bad science, pharmacologist David Colquhoun runs the DC’s Improbable Science blog, which is devoted to criticism of scientific fraud and quackery. It has a particular focus on alternative medicine, including homeopathy, Traditional Chinese medicine, herbal medicine and other practices, which he calls ‘pure gobbledygook’. In addition to his outspoken disapproval of alternative medicine in academia, Colquhoun frequently speaks against misrepresentation of alternative medicine as science in the media, and against governmental support of it. His blog discusses also wider problems in science, medicine and Higher Education. It was listed among the 100 best blogs in 2009. It was blog of the week in the New Statesman (30 May 2010). And in 2012 it was co-winner of the first UK Science Blog Prize, awarded by the Good Thinking Society. Colquhoun was a member of the Conduct and Competence Committee of the Complementary and Natural Healthcare Council (CNHC), a regulatory body for alternative medicine in the UK. Colquhoun has stated he was surprised at being accepted for the position. However, he was dismissed in August 2010. 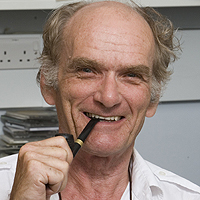 Colquhoun, FRS is a British pharmacologist at University College London (UCL). He has contributed to the general theory of receptor and synaptic mechanisms of single ion channel function. He previously held the A.J. Clark chair of Pharmacology at UCL, and was the Hon. Director of the Wellcome Laboratory for Molecular Pharmacology. He was made a fellow of the Royal Society in 1985 and an honorary fellow of UCL in 2004. Colquhoun runs the website DC’s Improbable Science, which is critical of pseudoscience, particularly alternative medicine, and managerialism. In this talk Kathryn Ford will look at the modern face of physiognomy trying to answer questions such as; why do we judge people as soon as we see them? How accurate are these judgements? And does facial appearance effect how people are treated within the criminal justice system? Online dating, blood, cruelty and the Watchtower. Plus castles, YHWH, christenings and Coca-Cola. Appearing on the back of a chapati, it’s Skeptics with a K.